The work here is Embodiment. Your body creates the opportunity for your spirit to be here in this world. Your hands become the way the divine to whom you pray lives in this world, through you. A teacher doesn't teach you anything you don't already know; rather, a teachers awakens something inside you that you remember. The truth of interconnection. Interconnection within ourselves between our mind, body, heart, and spirit. Interconnection outside of ourselves between between self, other, spirit, earth, and all living things on this planet. In these transformational times, Qoya is a tool that guides us back to a place of wisdom, reminds us that we are whole beings who are interconnected to all life, and inspires us to emerge with action. Qoya teacher training is designed to be a powerful catalyst for your own path of personal growth so that you can hold space for others to remember, honor and embody the physical sensation of truth, creativity, and freedom that lives in each of us. Like the singer who must sing and the writer who must write, Qoya is for the dancer who must dance. You feel ready to step into the world with confidence to share something that inspires your soul, releasing any conditioned layers of inhibition and insecurity that do not serve you or the places where you can be of service. You believe a more nourishing way of life is possible than habitual mental exhaustion, negative emotional loops, and reaching for outside fixes to inside jobs. You know there's a well of wisdom inside of you and are passionate about sharing the idea that the body is an access point to one's inner wisdom! You experience deep fulfillment in presence, reveling in the sensation when breath animates your spirit, when you move your body with intention, and when you access brilliant non-linear solutions to navigate your day. You've done research in your personal life and have found that if you have a question, you can access guidance and reconnect with your center through a practice as simple as pressing shuffle on your music library, dancing to whatever song plays, and receiving insight to take into your day. If you haven't done this before, you could even try it right now! You're living into the experiment that asks “Can we heal with joy?” and are inspired to hold space for other people to see if it's true for them. You acknowledge it takes courage to explore the uncomfortable aspects of self and yet don’t make your struggles the highlight reel of your life; rather, you savor life’s blessings with gratitude and willingness to heal and grow from life’s challenges. You trust that each time you heal, it creates more space for others to heal. You embrace deep soul shifts and radical self-discovery as it emerges and release judgments and projections, replacing them with respect. You agree to The Golden Rule and feel comfortable in a diverse community space where we hold ourselves in integrity with honesty and compassion. Most of all, you want to move your body! Whether you have experience as a dancer or a yoga teacher, are a busy parent, working for a start-up, or have not been moving as much as you wish, you're inspired and committed to integrating movement into your daily lifestyle. How awkward would that be if your answer was no? Imagine the opposite, saying, “I am not committed to daily movement. I am committed to a sedentary lifestyle with 8-10 hours per day of sitting.” Sounds kind of ridiculous when you put it like that. Even if you're resonating with many of these aspects, know that it is normal to also experience resistance. Trust your timing. Feel the answer in your body. You know it's right for you because it feels right for you. 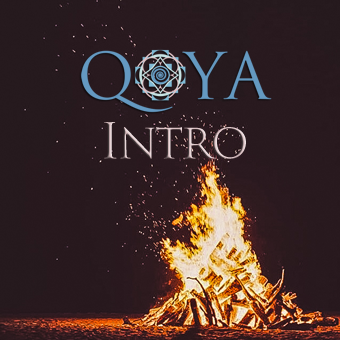 What you'll learn: Your first step of Qoya Teacher Training is the Introduction - a 10+ hour training that introduces the 13 pillars of Qoya as a way to begin learning how to teach Qoya or to create a home practice for yourself. You will also learn the fundamentals of the 3 essences of Qoya, our philosophy of embodying the woman who is wise, wild, and free. The class includes 1 full Qoya class, videos on each pillar, a course workbook, and a bonus guide to creating Qoya classes for your home practice. Who you can teach: Yourself! Learn the basic movements and start a home practice from this training. Click here to learn more and register for the Intro Training. Click here to learn more about the Initiation and to register. What you'll learn: Before attending the Intensive, you are required to teach 11 practice classes to your friends and family, submit evaluation forms on 3 of these classes, read 3 books, complete homework assignments, and participate in a call with your Intensive Teacher to discuss the material. The Intensive itself is an in-person training for 7 days in which you experience deep integration of the philosophies of Qoya into your life. After the Intensive, you must teach another class and complete an Integration Journal that you discuss on a post-Intensive call with your Intensive Teacher. Upon successful completion of the Intensive (including your Integration class, journal, and call), you will be invited to become a Certified Qoya Teacher by signing the Teacher Agreement, which allows you to offer and advertise your classes to the general public using the Qoya trademark. You can keep your certification active through membership in the Continuing Education Program ($55/year) to maintain your lines of support as a teacher, stay current with changes to the Qoya curriculum, and continue your path as a lifelong student of Qoya. Who you're certified to teach: The general public anywhere in the world! Cost: Cost varies depending on location (typically ranges from $1,800-3,500). Tuition and accommodation are included; travel is not. Click here to learn more about the Intensive. What you'll learn: The Continuing Education program gives you the resources and support to help you start and grow your Qoya teaching practice in your community. It includes access to monthly calls with Rochelle, a private Facebook group to reach out to other Certified Teachers, a yearly webinar with Rochelle to review any new additions and changes to Qoya, a listing on the Qoya website if you teach a minimum of 11 classes per year, a library of support materials for teachers, and invitations to special workshops, retreats, and teaching events only available to our active Certified Teachers. You will receive access to register for Continuing Education upon signing your Qoya Teacher Agreement after successful completion of the Qoya Intensive. If you have questions, please contact us at info@qoya.love. What you'll learn: The Mentorship Circle is an extra teaching support program to get more individualized attention and feedback. 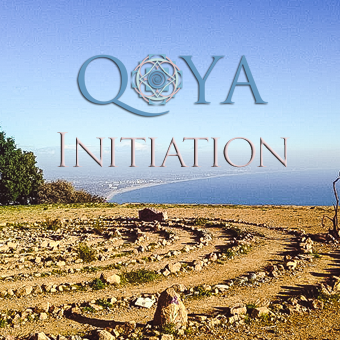 This is a safe and supportive place to practice, connect, and to help bridge the gap between learning the basic structure of Qoya in the Initiation to fully embodying Qoya at the Intensive. 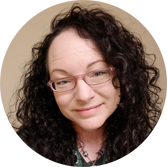 Sara Ballard leads these circles to support, encourage, and help you get feedback in real time, making it easier to jump fully into your personal practice or teaching in your community. Community: Qoya classes are a sacred place to gather. Each class contains a unique magic and medicine, and people who are attracted to Qoya embody a wide range of the human experience, compassionately fierce, courageously resilient, willing to explore more of their inner and outer worlds, and holding a sincere desire to see those around them thrive. Fitness: The accountability of teaching a Qoya class brings more dedication to your personal practice, leading to an increased level of personal strength and fitness as well as a fluid connection to your body and creativity. Creativity and Leadership: Every Qoya class has the same structure, but each Qoya class is different since it is always based around a theme and music chosen by the teacher. Qoya is a way to express your truth and inspiration through movement. Examples of themes: gratitude, letting go, the seasons, feeling as much as you can. Anything that inspires you can become a Qoya class: the newness of spring, a favorite song or piece of art, a relationship - all of it is relevant in the dance of Qoya. Additionally, each student sets her own intention at the beginning of class, creating a rich and varied tapestry of transformation. Additional Income: Once you become a Certified Qoya Teacher, you will take home 100% of the cost paid by attendees of your classes. Increased Capacity for Fun and Pleasure! Teaching Qoya is fun, rewarding and creative. If you're seeking an outlet for creative expression, exploring a more embodied dimension to your career, or are inspired to actively participate in empowering the communities you have impact and reach with, Qoya Teacher Training is for you. "The week was a complete embodiment of Qoya - I truly felt wise, wild and free; I the truth that everything is within, and I lived the say “Life is a dance” every single day. Most of all, I experienced an amazing sense of community with the inspiring group of women I was fortunate to forge new friendships for ongoing support." I’m not a yoga or dance teacher. Can I still train to be a Qoya teacher? Yes! While this is a movement-based practice, anyone can learn and teach the movements. The goal is to make the class accessible to anyone who has the desire to bring meaning into their movement. Rochelle wanted to create something that could easily be taught and practiced in communities all around the world. We have had women of all ages, backgrounds, sizes, and athletic abilities successfully train to be teachers. You CAN do it. I’m already a yoga or dance teacher. Is this right for me? Qoya Teacher Training is the best thing (in our humble opinion!) 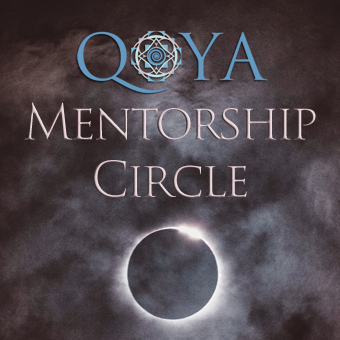 to support your current teaching practice with deeper inquiry by exploring the unique teachings that are transmitted through each pillar of Qoya. If you're feeling like you want to teach more than yoga or dance and that you want to help guide students to honor their emotional and spiritual journey, this could be a great fit. Many of our teachers who are trained yoga and dance instructors report back that they see their Qoya training as an extension and growth of that work. I want to attend the training, but I’m not sure I want to teach. Is that okay? Many people complete Qoya teacher training to enhance their path of personal growth. The Intensive is a deep dive into self-awareness and the power of movement, ritual, community and pilgrimage to bring clarity to our purpose and encourage us to take action in our lives. If you're a regular Qoya student, teacher training is an amazing way to bring more structure and inspiration to your personal practice, and to go deeper into the fundamentals of Qoya. Similarly, if you're new to Qoya and wish to dive deep with the practices of Qoya, teacher training is a wonderful way to submerge yourself in all things wise wild and free. For questions, email info@qoya.love. Will I be a certified teacher after the training is complete? To be a Qoya Certified teacher, the Intro, Initiation, and Intensive trainings must all be successfully completed. You also must sign the Qoya Teacher Training Agreement and have an active membership in the Continuing Education program to maintain your certification. To be listed on the Qoya website as a teacher, you must also teach a minimum of 11 classes per year. Does this certify me to lead Qoya retreat or teacher trainings? No. The prerequisite to apply for Qoya leadership training is to teach 50 classes after your Intensive. Start there - we firmly believe that the single best way to become a Qoya leader is to...lead! And the single best way to build your Qoya community is to offer consistent classes where you live. Once you have taught at least 50 classes, you are eligible to apply to lead Initiation trainings or to apply for our upcoming Retreat Facilitator Program (details coming soon!) Both of these programs require an additional 4 - 9 months of training. As a Certified Teacher, can I teach a Qoya class at a non-Qoya retreat? How is Qoya different than training to teach other movement forms? Qoya classes combine the traditional benefits of fitness — including strength, flexibility, balance, endurance, and agility training — with a unique empowering approach that is feminine, expressive, and most importantly, fun. Qoya is different in that it offers a shift in consciousness that evolves the way we have been taught to move our bodies as women. Drawn from the wisdom of yoga, creative expression in dance, and the pleasure found in sensual movement, Qoya helps women enjoy and revel in their feminine bodies. In other words, the focus becomes more on the enjoyment of the experience in the present moment versus all the traditional motivation factors of exercise (losing weight, toning, burning calories, stretching, reducing stress, etc.) All those become pleasurable byproducts, but not the reason you go. The reason you go is your joy. One of the main differences is that Qoya addresses all parts of a woman: mind, body, emotions, energetic, spirit and soul - seeing her as human & divine. ● Ways we can say YES. A Qoya class is different because it speaks to all the different levels of awareness in a woman: physical body, mental state, emotions, spiritual connection, and energy. As an instructor, you speak to each woman as whole, lacking in nothing. Imagine a world in which that's how we relate to one another, seeing the human and divine aspects in each amazing woman. Do I have to attend the Initiation Teacher Training in person? No - we offer online trainings in addition to the in person offerings. Check out the Initiation Training page for all the current trainings available. If you don't see an online training listed at this time, check back since we are adding trainings all the time. I got injured after I registered. Can I still come? Our refund policy is that if you register and cannot attend, if we can fill your spot, we will give you a refund minus $250 to cover our administrative costs. If we can not fill your spot, unfortunately, we are unable to refund your space though we may be able to offer you a partial credit towards a future training. We are always happy to work with people and support them on their journey any way we can. If you are inspired to join and it would feel better to space out payments, reach out and we can explore it. We align with the idea that when you follow your heart, the world will conspire on your behalf. If you still have questions and would like help determining if Qoya Teacher Training is for you, please write us at info@qoya.love.